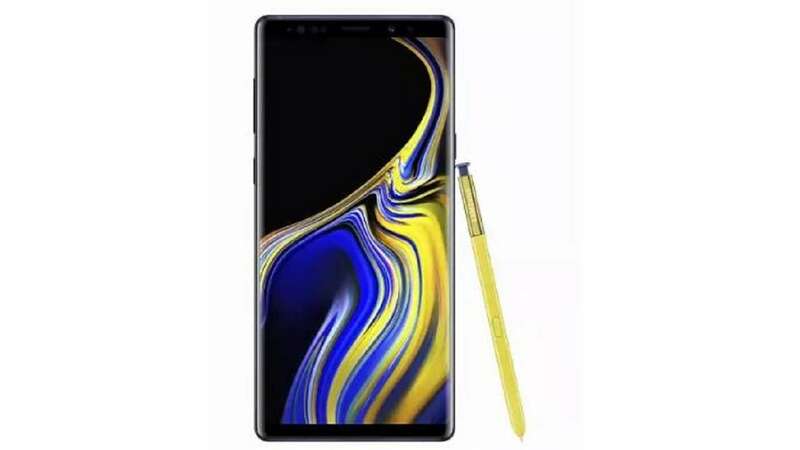 Aug 9 (AZINS) Samsung launched the Galaxy Note 9 "phablet" in New York today, promising better battery life and quick cooling to attract gamers and rejuvenate flagging sales. The new Note is set to hit stores on Aug. 24. It will be available in Midnight Black, Metallic Copper, Ocean Blue and Lavender Purple color variants. In terms of specifications, the device features a 6.4-inch QHD+ Super AMOLED display with a 1440x2960pixels resolution and an aspect ratio of 18.5:9. It is powered by a Qualcomm Snapdragon 845 processor, paired with 6GB/8GB RAM options. It will be offered in two storage variants – 128GB and 512GB along with a microSD card, expandable up to 512GB. Running Android Oreo, the smartphone comes equipped with a dual rear camera set up – 12MP + 12MP sensors along with an 8MP front facing camera. Connectivity features include Wi-Fi, GPS, Bluetooth, NFC, 3G and 4G. A 4000mAh battery completes the package. Besides the Samsung Galaxy Note 9, the South Korean tech giant also launched the Galaxy smartwatch. The new wearable comes with heart rate sensor and boasts of longer battery life and better performance. Samsung claimed that the new Galaxy Watch can run for several days with a single charge. The new version of the watch can be charged along with Galaxy Note 9 with wireless charger duo. It will also act as a personal health trainer, as it will keep a track of your breathing, sleeping patterns and workout sessions. Stress management is a new feature on the watch. Its function is to keep an eye on your heart rate, and if it's too high it'll give you a notification to sit down and will display a brething guide. The Galaxy Watch has a circular display and is available in two sizes, 46mm and 42mm respectively. The smartwatch has touchscreen, protected by Corning Gorilla Glass. It can be used as standalone as it supports the LTE connectivity, meaning you'll get all of your notifications and more even if you don't have your smartphone with you. The Galaxy watch also has a rotating bezel, which we've witnessed on previous watches, and there are a ton of straps and the choice of 60,000 watch faces to choose from. The smartwatch is also swim ready as it is water resisitant. The price of the watch has not been revealed yet.